A gifted actor, Amos has impressed audiences and critics with his performances on stage and screen and has proved not only a gift for comedy but also for more serious roles. Comfortable as a performer, presenter, actor and guest there is no doubt that Amos will retain his position as one of the nations favourite comedians for a long time to come. His debut DVD ‘Find the Funny’, recorded at the Enmore Theatre Sydney, was released November 2009. Stephen launched his third tour of the UK in Autumn 2009 with 75 dates across the UK. 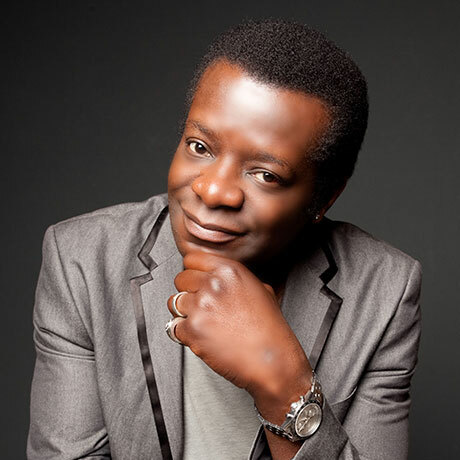 In 2010 Stephen filmed his debut show ‘The Stephen K Amos Show’ for BBC2 and released his second DVD ‘The Feelgood Factor’. Watch out for his fifth stand-up comedy show ’Laughter Is My Agenda’ touring nationwide in 2012. Aside from being one of the nation’s favourite faces on television, Stephen is a prolific writer and performer releasing a new hour-long show every year and touring all over the world at festivals. He has performed in some of the UKs most loved theatres and also appeared at the Royal Variety Show in 2007. Stephen is in great demand as an actor and headliner on the international comedy circuit and for corporate functions.